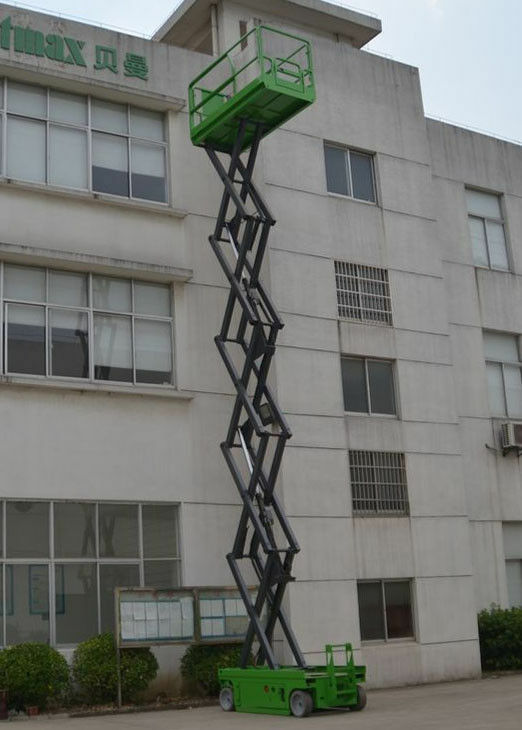 Bestmax Self-propelled Electric Scissor Lift (DC motor driving) has excellent structure, smooth driving, fater speed, lower noise, friendly to environment, deeply loved by users who always work outdoor to provide you with a flexible mobility, operability. 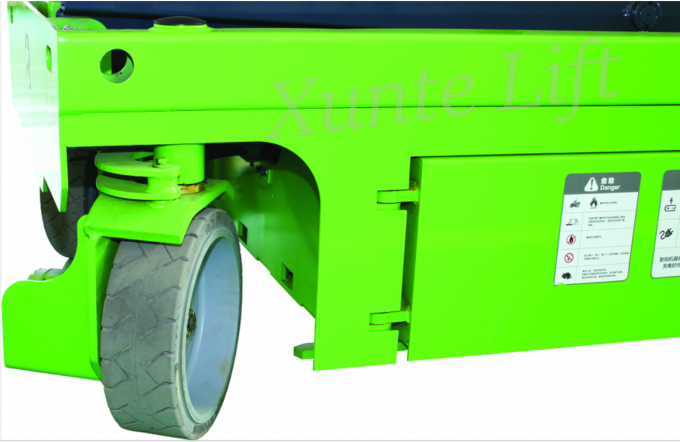 It is with tough and rigid wheels to travel through uneven and rough surface. Whether indoors and outdoors it can be used with traceless tire. 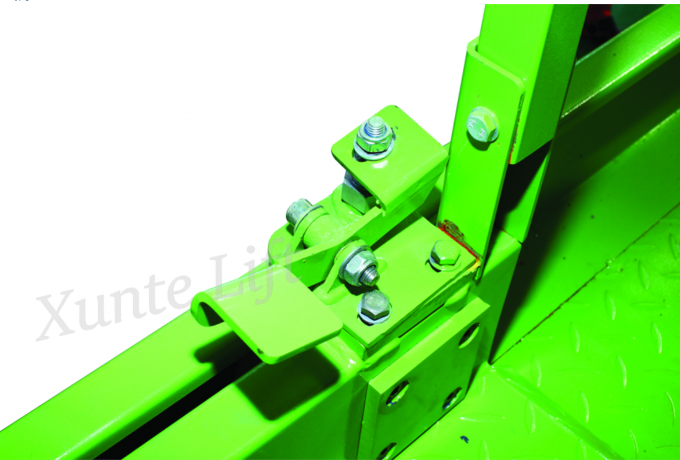 It is unique in carrying capacity and wide platform that can bring more workers and tool set. It can greatly improve the working efficiency to assist finish various aerial work tasks in different situations as it can travel in any status whether lifted or stowed. With no human power needed to move it, it can be operated by one single to control on the platform, smart, flexible, quick.